The building was finished many years ago, a simple red brick affair: four walls, a roof, a window to each side and two in front. The bricklayers, knowing the bricks belonged to the owner and not the contractor, left the bricks neatly (mostly neatly) stacked behind the building. 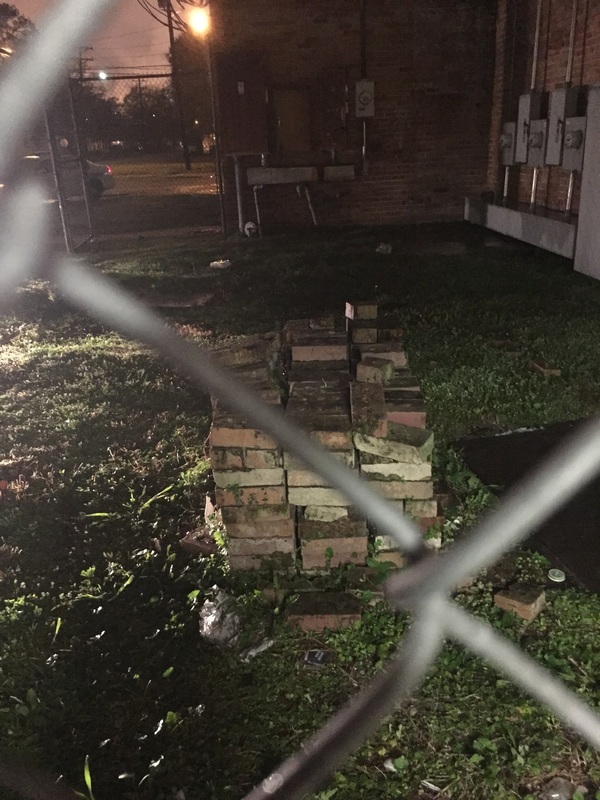 The owner had no particular use for the bricks, but being a man who’d rather have a spare stack of bricks than load a trailer, lazy left the bricks, uncovered and unprotected, in the back. “Just in case,” he’d told his wife (also his accountant, for he was terribly bad with money, and all forms of cost-benefit analysis). His wife had rolled her eyes but knew better than argue – she had better things to do than play back-and-forth with that stubborn man she called her love. For many years the bricks gathered moss. The moss filled up the cracks and crevices between the brick- a green, fuzzy stuffing. The bricks had become some sort of bizarre fired clay stuffed animal. The bricks did not laugh at their strange predicament. The bugs came next. Tiny beetles, baby roaches, pill bugs and ants pour into the lush green crevices between the mostly neat stack. They ratted and creeped in the verdant passageways, and the bricks did not express disgust. A mouse came along and took up residence in a larger gap that the moss was unable to completely overtake. The mouse ate the bugs where and when it could catch them, tearing them apart if they were bigger than a cotton swab tip or eating them whole when they weren’t. The bricks looked on at this dark feast, but voiced no concerns over the sanctity of insect life. At last cat began to prowl around, stalking the mouse. When the feline eventually accomplished its deadly task against the tiny rodent it sat about a foot in front of the bricks tearing intestines out and taking time to play with them before they were swallowed. The bricks looked and while they briefly contemplated their own lack of mortality, they did not discuss it with the cat. The cat would not understand.